If starting the year right means following a good new year’s resolution, then a resolution to have great hair with the best rebonding product like Ahglow is one of the best ways to welcome 2014. Studies say that the best New Year’s resolutions are those based on realistic goals and definite plan of actions with the best tools you ever find to help you. The best things that you can do for yourself need the best products, tools and processes for the best results. For example, if losing weight is your resolution, life coaches recommend that you map it out, go on diet and exercise plan, and record your success. If you’re a smoker and you want to stop smoking, you don’t drastically stop smoking right then and there. You gradually remove the nicotine from your system until you smoke only twice a day, and then once, and then not at all. But what if your resolution is to have great hair all year round? Exercise and a good diet can help, but it’s always up to you and the tools that you choose to help you. A good choice would be to get a rebond. Hair rebonding is a straightening treatment for wavy, curly, or frizzy hair that makes hair ‘permanently’ straight, smooth, and shiny. Who wouldn’t want perpetually beautiful hair? It’s a shame that so much is promised out there in terms of hair rebonding and not all of it really comes true. Rebonding treatments done by some salons or hairstylists using rebonding products of doubtful origin promise straight hair. The outcome may be straight hair, but it could be far from beautiful. In fact, it could lead to a year’s worth of disastrous hair days in 2014. Yikes! Luckily, a local brand is making sure that women everywhere are equipped with the best rebonding products in the market and they’re actually making the connection between straight hair and beautiful healthy hair. That’s the kind of high-quality rebond that every woman deserves. Ahglow is the best you can give for yourself as you pursue your New Year’s resolution of having beautiful, straight, and healthy hair. It is formulated with a secret ingredient imported from Germany for better results with every treatment. It also offers a five-step complete system that can really ensure that you have beautiful hair all-year round. It begins with the Straightening Cream, followed by Keratin Hair Protek, Neutralizer Cream, Keratin Conditioner, and HairKote. Ahglow recently introduced its affordable and convenient Stand-Up-Pouch (SUP) packaging containing 165g of the Straightening Cream (No.1) and Neutralizer Cream (No.2) good for single use or one application. The Ahglow Rebonding System is a new, permanent hair straightening technology that results in soft, smooth, and shiny straight hair, consisting of two processes: chemical and thermal or heat application. If you’ve been inside a salon using other rebonding products, you’ll notice a pungent smell the moment you put one foot in. With Ahglow, you won’t have to worry about going through 2 or 3 gruelling hours of living through that foul smell. It smells pleasant and can even remind you of the scent of sampaguitas. Other brands of rebonding products only make use of two to three products – the straightening cream, the neutralizing cream, and maybe an ordinary conditioner. Ahglow’s system uses five products – all keratin-infused. To complement the system, Ahglow has its Gold Titanium Straightening Iron that does not snag or pull the hair and carries a warranty. All this ensures the health and beauty of your hair in the long term so fulfilling your New Year’s resolution won’t be cut short. How do you ensure that the life of your rebonded hair is not cut short and will last for six, nine, or even twelve months? It is important to use the right products for the daily care and maintenance of rebonded hair. And Ahglow, as the pioneer and the expert in hair rebonding in the Philippines, knows how to do just that when it came out with its Kerafix line of treatment products: Deep Moisturizing Treatment Shampoo, Deep Moisturizing Treatment Conditioner, Leave-On Conditioning HairShine Treatment, and Heat Protection Treatment, the latter for those who frequently use a straightening iron or hair blower at home. 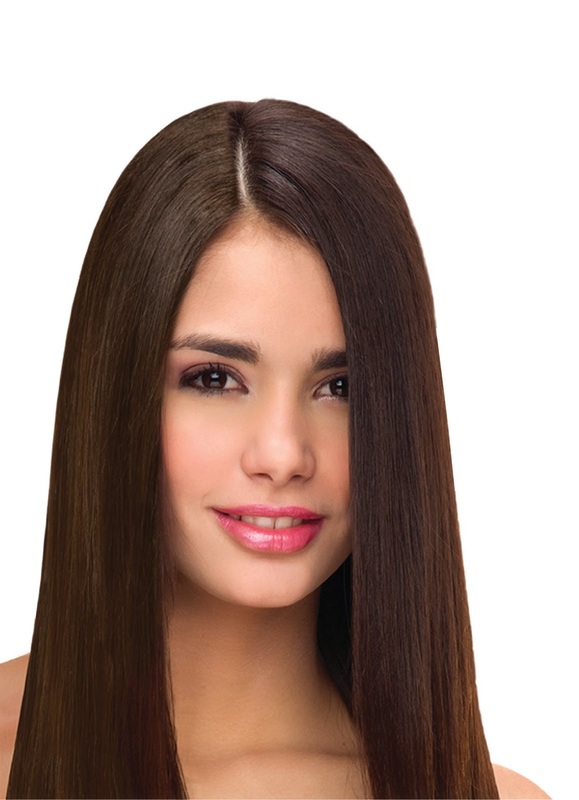 Other products that make Ahglow the perfect choice for quality rebonding are its keratin-based conditioners, hair repair, and cuticle treatment products, specifically formulated for rebonded, relaxed, and even color-treated hair like the original Keratin Reconstructor Conditioner, Avocado Treatment Wax, and Henna Treatment Wax. Are you ready for a 2014 with perfectly beautiful hair? Ahglow is ready to help you make your New Year’s resolution come true. Start your year right with the best ever rebonding product to make 2014 the year of your best hair. Hi sis! Where can i buy ahglow products? It's available in most major malls.